So if you have a free day or you want to set aside a day to get out of the city, here are a few great suggestions for tours from Jerusalem. The trips leave on a daily bases (or a couple times a week) from the hotels and the hostels in Jerusalem. Tel Aviv is considered the entertainment and culture capital of Israel and usually tourists coming to Israel stay there at least a couple of days. The city’s slogan is “The City That Never Sleeps”, these five words tell the city’s story; a city that never stops it’s activities- parties, bars, events, concerts, culture, restaurants and more- nonstop. So don’t hesitate, a trip to Israel without feeling the great vibes of Tel-Aviv isn’t the same trip… The small disadvantage of tours leaving from Jerusalem to Tel-Aviv is that the tours are private tours and are built for four people and more. 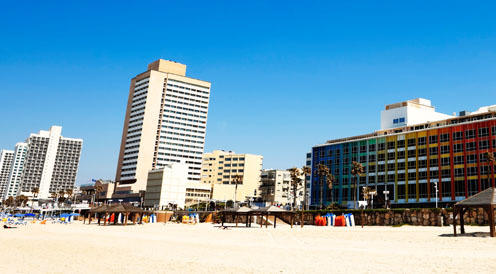 Tel Aviv Tour - The tour in the city that never sleeps lasts about nine hours and includes visits to all of the city’s main sites such as Jaffa’s’ Old City, major museums and of course a taste of the city’s night life and more. For those of you who haven’t heard of The Dead Sea, it’s the lowest place in the world, about 421 meters below the sea. It’s approximately a 40 minute car ride from Jerusalem and is one of the most popular tourist attractions in Israel. Due to its location (very low) the Dead Sea’s water is different from all other sea water. The waters unique material composition (salt and minerals) holds therapeutic elements for the skin (for healthy people as well) and is used as a skin treatment. Also, over the years the area has developed and some of the best spas in the world have opened there- so you don’t want to miss it, right? 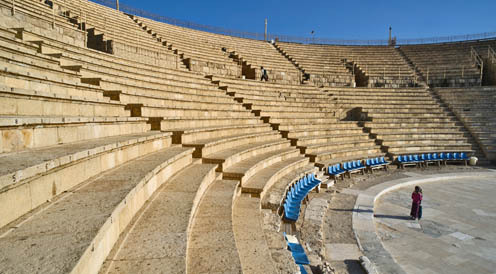 Dead Sea Tour - this trip focuses more on the Dead Sea itself and less on the sites around it. After an observation point on the city of Jericho, the trip continues to one of the Dead Seas most known beaches in order to enjoy what the sea has to offer. Extra treatments and entrance to the spa isn’t included in the trips price. Masada Tour - this trip passes through most of the main attractions in the Dead Sea, such as Qumran and Masada. After visiting one of the most impressive sites in the world (Masada) the trip continues to the Dead Sea itself in order to enjoy a calm afternoon at the sea. These three cities are 40 minutes by car from each other and in each city there are a number of sites worth visiting. In Caeserea you can visit the Old City that exits from the Roman Empire days. The Old City underwent massive renovations a few years ago and has become a very popular attraction for people in the area due to its uniqueness and beauty. About Acre there’s not much more to add after all that’s been told, it’s a very old city from the First Temple period. The Old City is one of the most fascinating places in Israel and contains many stories from Israel’s history. So if you can find time for a trip, there’s no doubt that this is one of the most fascinating tours. Caeserea, Haifa, Acre and Rosh Hanikra Tour - The tour leaves three times a week from Jerusalem (Sunday, Tuesday, and Thursday) and it includes all the main sites in the area. In addition to Haifa, Caeserea and Acre the tour passes through Rosh Hanikra, another popular tourist attraction. 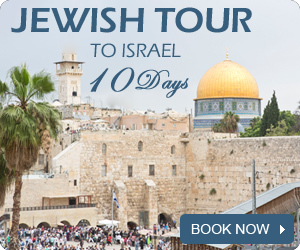 In addition to all these trips, you can find a wide range of trips that leave on a daily bases from Jerusalem. 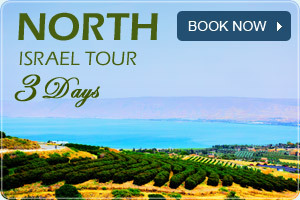 So if you haven’t found the trip you’ve been looking for in this article, you can go to this next link to find more options: Israel Tours Yourway.